Sophocles was born at Colonus, near Athens in about 496 BC and is considered to be one of the premier playwrights of Greek tragedy. His stories may have been filled with strife, but Sophocles himself was prosperous and came from a good family. It is said that he was handsome, wealthy, and a highly respected citizen of Athens. During his life, he wrote over 120 plays and was instrumental in how plays would eventually be performed, including the addition of stage props. 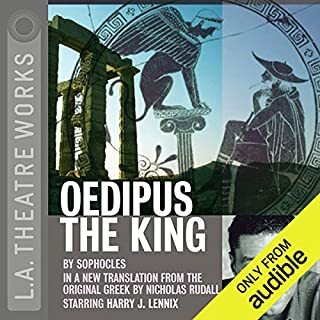 In Sophocles' tragedy, Oedipus discovers that he has been caught in his terrible destiny, unknowingly murdering his father and marrying his mother. The body of Polynices, Antigone's brother, has been ordered to remain unburied by Creon, the new king of Thebes. Antigone defies the law, sealing her fate. 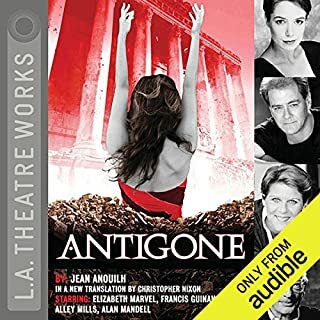 Originally produced in Paris during the Nazi occupation, Anouilh's Antigone was seen by the French as theatre resistance and by Germans as an affirmation of authority. A classic is given a fabulous update! Medea is an ancient Greek tragedy written by Euripides, based upon the myth of Jason and Medea and first produced in 431 BC. The plot centers on the actions of Medea, a former princess of the "barbarian" kingdom of Colchis, and the wife of Jason; she finds her position in the Greek world threatened as Jason leaves her for a Greek princess of Corinth. 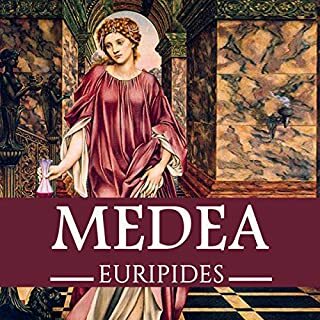 Medea takes vengeance on Jason by murdering Jason's new wife as well as her own children, after which she escapes to Athens to start a new life. 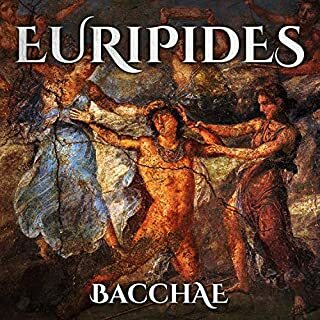 The Bacchae is concerned with two opposite sides of human nature: the rational and civilized side, which is represented by the character of Pentheus, the king of Thebes, and the instinctive side, which is represented by Dionysus. This side is sensual without analysis, it feels a connection between man and beast, and it is a potential source of divinity and spiritual power. In Euripides' plays the gods represent various human qualities, allowing the audience to grapple with considerations of the human condition. 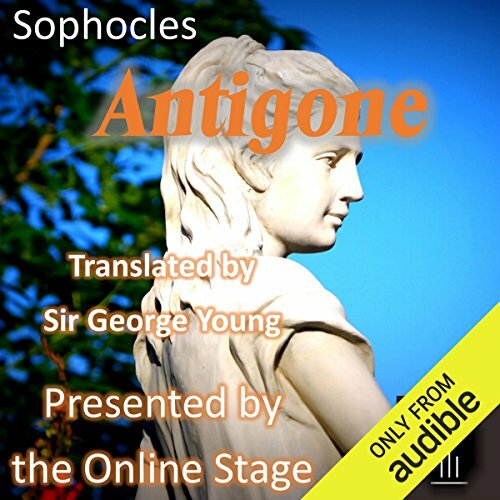 The great tragedy by Athenian playwright Sophocles, a tale of a woman's duty and a king's pride. Antigone promised a proper burial to her late brother, but doing so will disobey an ordinance of King Creon and risk invoking his wrath. Translation by F. Storr. Full-cast dramatization of Oedipus the King, the Athenian tragedy by Sophocles that was first performed c. 429 BCE. Featuring Douglas Campbell, Eric House and Robert Goodier. Macbeth, one of Shakespeare's most popular plays, is among the most powerful and influential tragedies in the English language. Promised a golden future as ruler of Scotland by three sinister witches, Macbeth murders the king in order to succeed to the throne. Tortured by his conscience and fearful of discovery, he becomes fatally enmeshed in a web of treachery and deceit. Better than expected! Helpful in the classroom. 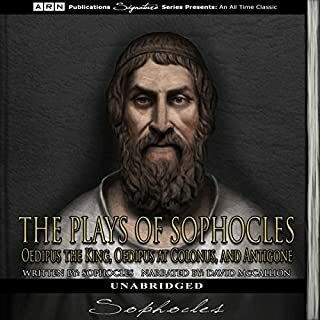 In the hands of Sophocles, the master dramatist, the anguished tale of a man fated to kill his father and marry his mother retains its power to shock and move beyond any Freudian reference. A new version of The Epic of Gilgamesh by Sebastian Lockwood. This is the story of Gilgamesh, King of Kings, who brought back knowledge from before the flood - who loved and lost his companion Enkidu and had to find out why we die. The Epic of Gilgamesh was written on clay tablets over 4,000 years ago, in what is today Baghdad Iraq - the Biblical Garden of Eden between the Tigris and the Euphrates. Lockwood gives a passionate reading from a text that faithfully follows the original. One of Shaw's most enduring works, Pygmalion is an insightful comedy of class relations and perceptions, as played out between a Cockney flower girl and the irascible speech professor who has taken her on as a pet project. A Doll's House is a three-act play written by Norway's Henrik Ibsen. It premiered at the Royal Theatre in Copenhagen, Denmark, on December 21, 1879. The play is set in a Norwegian town circa 1879. A Doll's House was based on the life of Laura Kieler, a good friend of Ibsen. Much that happened between Nora and Torvald happened to Laura and her husband, Victor. Similar to the events in the play, Laura signed an illegal loan to save her husband. She wanted the money to find a cure for her husband's tuberculosis. Antigone by Sophocles. Translated by Sir George Young. Presented by the Online Stage. Sophocles (497 BC-406 BC), Aeschylus, and Euripides formed a trio of ancient Greek tragedians whose works represent the foundation of the Western tradition of classic drama. Of the more than 100 plays written by Sophocles, seven have survived to the present day. Perhaps the most famous of these are the three that are now known as the Theban plays: Oedipus the King, Oedipus at Colonus, and Antigone. After the death of their father, Oedipus, Antigone and Ismene return to Thebes. 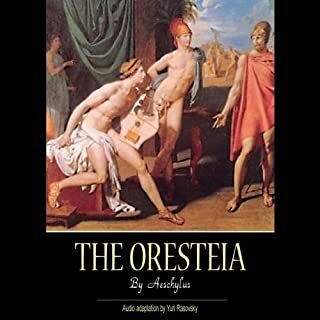 The ruler is their unyielding uncle by marriage, Creon, who assumed command after the death of the sons of Oedipus, Eteocles, and Polynices in a fratricidal struggle to take control of the city. Creon has the body of one brother buried with full civic honors but forbids the burial of the body of the other, whom he regards as a traitor. Antigone's challenge to Creon's decree, which she considers unjust, results in the extinction of the family line of Oedipus. Cast: Libby Stephenson as Antigone, Amanda Friday as Ismene, Alan Weyman as Creon, Marty Kris as First Senator, Peter Tucker as Sentinel, Jennifer Fournier as Haemon, John Burlinson as Tiresias, K. G.Cross as Messenger in Attendance on Creon, Cate Barratt as Eurydice; Chorus performed by Brett Downey, Elizabeth Klett, Ed Humpal, and Cate Barratt; stage directions read by Grace Garrett. As a drama, I would definitely recommend only using this as a 'refresher'. Some of the performances were excellent and others seemed a bit off-putting (Creon's pronouncements in particular had a far creakier voice than I felt suited the character - especially compared to Tiresias' speech! ), but all in all a good 'review' if you've already experienced Antigone in a different format. The full cast recording was the big draw for this version, but the uneven sound quality and inconsistency of performers made for a disappointing listen. If you're an educator looking for a recording of Antigone you can use with your students, you should skip this one. The audio recording is very poor. Voices sound like they have a head cold. One voice speaks with a lisp...which would be okay excepting that it is the voice of a strong male character. I returned the book after listening to less than 5 minutes. I cringed and laughed while listening to this - a disservice to George Young's poetic translation.